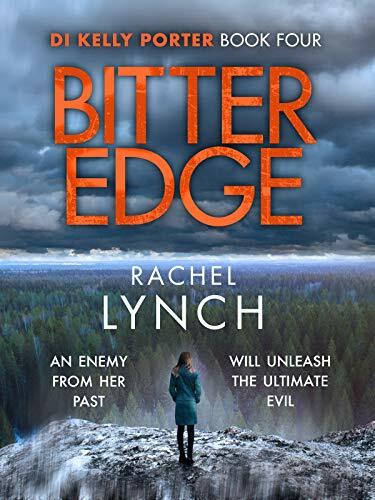 Welcome to my stop today on the blog tour for Bitter Edge by Rachel Lynch. 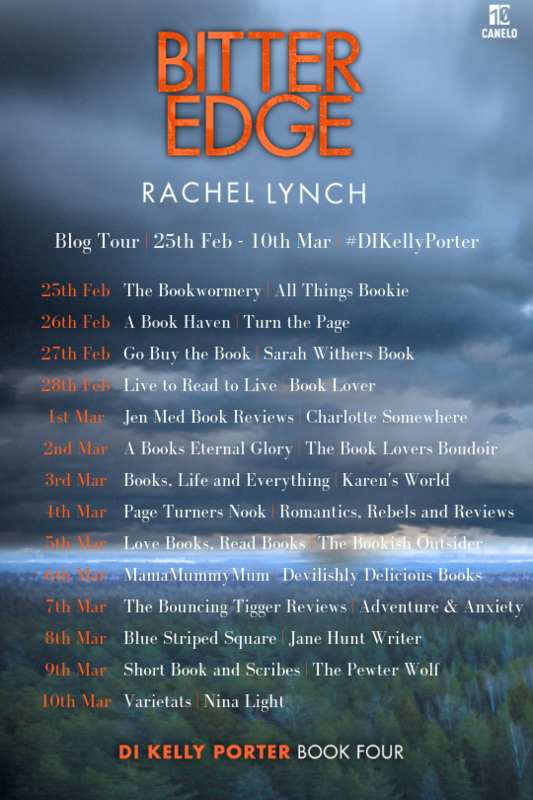 I have a fabulous guest post by Rachel to share with you, all about how she researched the location for her novel. My thanks to Ellie Pilcher from Canelo for the place on the tour. Essentially, the location of each Detective Inspector Kelly Porter book is firmly ingrained inside my head as a result of growing up a stone’s throw away from the glorious Lake District National Park. My earliest memories are of negotiating rocky edges, swimming freezing lakes, drinking from fresh mountain springs, and driving up steep valley passes. A typical child; the magic lost its lustre by the age of twelve- or thereabouts- and being forced to wear luminescent orange flared waterproof trousers didn’t help. Summers swimming in Windermere were easier to cope with, and that activity lasted well beyond my teenage years. So, in lots of ways, I don’t have to research the location, because it’s already such a part of me. 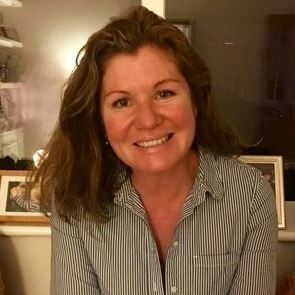 I left Cumbria in 1997 to teach History in a large London Comprehensive school. I then married an army officer (not called Johnny) and packed up my young family and followed him around the globe for thirteen years, living in eleven houses. So, I haven’t lived in the Lake District for a long time. But it doesn’t matter. It never leaves. And now we take our children there every summer. Now that the children are teenagers, we visit to hike and explore some of the more testing terrain and they honestly love it. The fact that both of them have taken to scrambling and bagging Wainwrights so well thrills me. They also want to visit all the important locations in my books (though they’re not yet allowed to read them), and we drive to them and they make up stories and take photos. I still have to check road names, passes, summits, coves and waterfalls; and some locations I make up, depending on plot restraints. However, the flavour of the place: the forests, lakes, peaks, crags, edges, springs, tarns and beaches are what matter. Kelly knows the lakes like I do, but it’s also important to me to have characters who don’t. When I’m working, I keep a Lakeland map to hand, and sometimes it’s spread across the floor, and I’m hunching over it, working out how long it might take a helicopter to search a few remote crags. The place evokes such vivid scenes for me that even glancing at an old photo could be the starting point for a new Kelly Porter chapter. Thank you so much, Rachel. The Lakes are such a lovely part of the country.